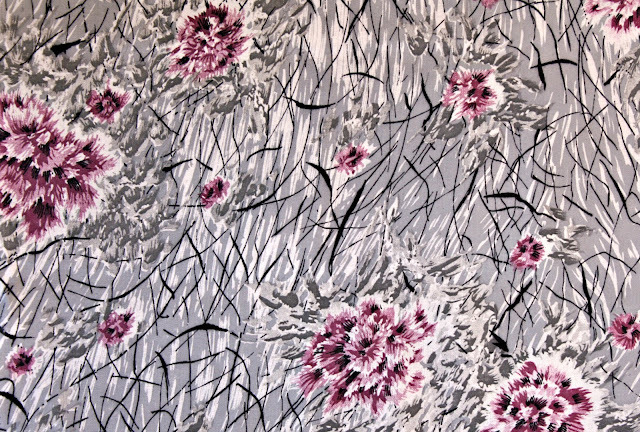 Some beautiful fabrics were found recently. I adore them both and there is a couple of metres plus of each. Some pretty laces which will soon be making their way into some sweet packs for Little Bits of Pretty. And a little show and tell of some recent sewing from some previous thrifted treasures. I made this skirt for the littlest love. With the cooler weather here now, she needed something a bit snugglier. The fabric was thrifted last year sometime, for a dollar or two. I made some binding for the hem from a pretty vintage floral sheet. Lulu wasn't too keen telling me 'I donnnnnn't like it'. The addition of a little doily pocket soon won her over. Phew. I think it will be very cute with some tights and boots and a little knit on top. I am so happy to have made something from my huge stash of thrifted fabrics. 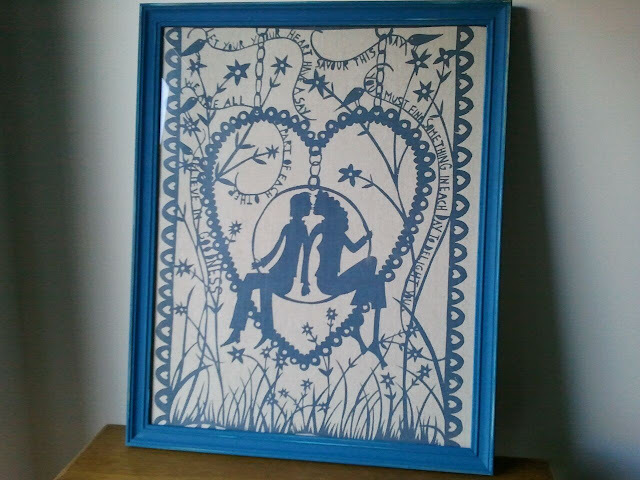 Another thrifty revamp was this op shopped frame. The print was waterstained and so after removing it, I gave it a pretty coat of teal paint and popped in a favourite teatowel. The teatowel was a freebie from here. Unfortunately I had to snip some off the top and bottom to fit the frame. The frame was $3.00, I had a piece of glass cut which cost $13.00 but still a good price for such a large frame, I think.Now to hang it! I hope you've had some success at the oppies lately too. For more thrifted treasures, pop over here. Love the fabrics you op-shopped. 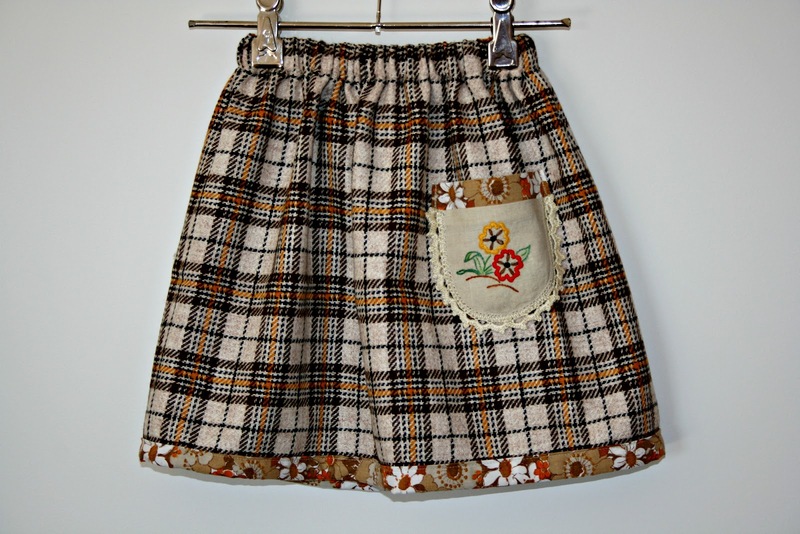 And the handmade skirt looks so cute with the vintage sheet binding. The framed tea towel looks great, I need to find a few large frames to display a few of my tea towels too I think. be still my fabric loving heart. gorgeous fabrics you found and that skirt? i second mel..i want one in my size! That is such a cute skirt! Great job!!! 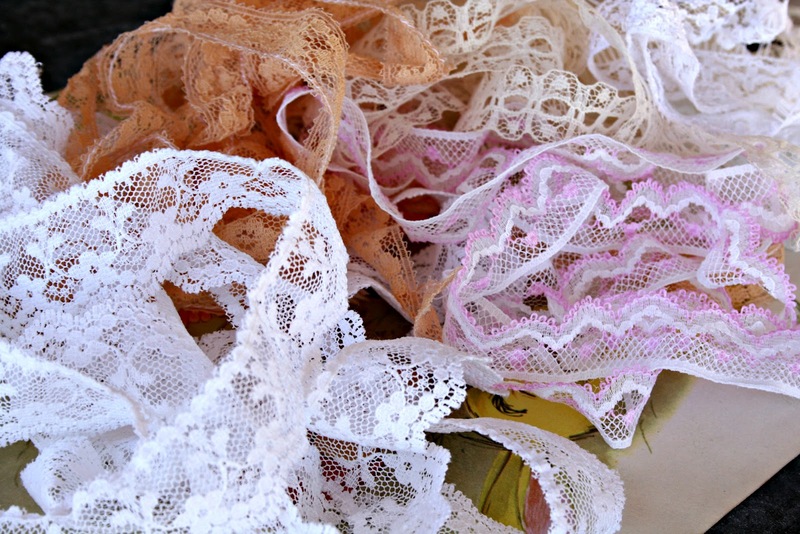 What lovely fabrics & laces! Great finds!!! Oh wow, those fabrics are delicious. I love your Little Bits of Pretty Packs, I look forward to seeing what you have in store for us. I will third, fourth everything everyone else has said about the skirt.......love, love, want one. Finally the frame and tea towel it is perfection.....gorgeous. Such beautiful fabrics cant wait to see what you make with them. A cute little skirt the pocket is a fab touch. I love that frame and the teatowel a great upcycled project!! Oh wow look at you getting all productive!!!!! I LOVE the Rob Ryan teatowel. I wish I knew there were freebies!!!!! It looks fantastic in the teal frame. LOL I can just see Lulu's screwed up face telling you she doesn't like the skirt. It looks so snuggly and WILL look gorgeous with knits and boots! Hooray for the doily pocket I say! LOL. I LOVE the first fabric!!!! What an awesome find!!! And a few METRES!!!!! 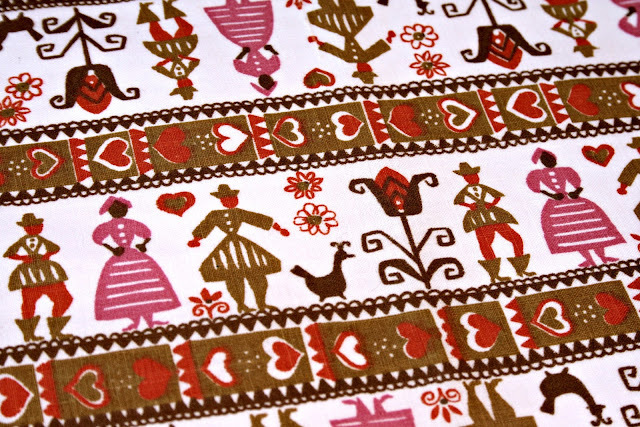 LOVE that Scandanavian style print: so pretty. I must say I cant resist buying MORE fabrics! I am able to say no to other things but saying no to fabric is hard! hey Lea, the teatowel print is Fantastic...what a beautiful piece of art. what a gorgeous skirt with the binding and doily pocket..i love it..
love everything about this! gorgeous fabrics and awesome skirt. 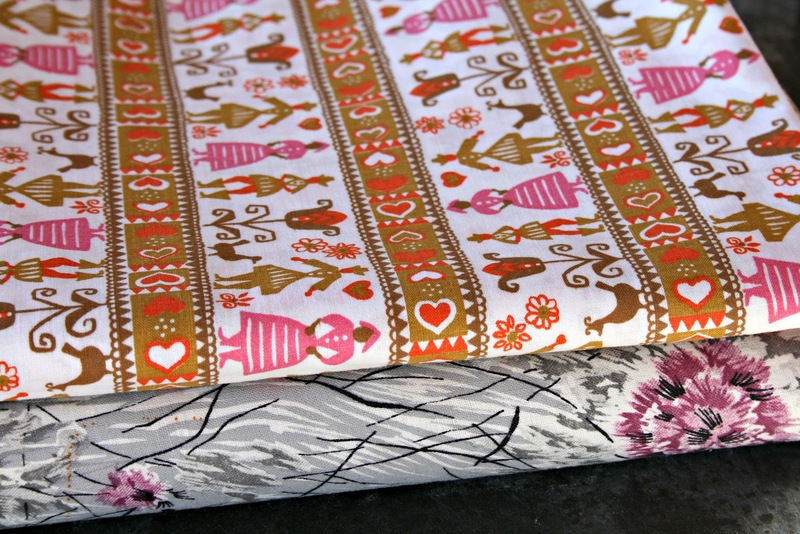 i am 'make bias tape from vintage sheets' on my list of things to do this week. it seems to be one of those things that keeps getting pushed to the bottom of the list. haha. thanks for the inspiration!